The first space trips to Mars are planned for 2030. Think about it: the very first human to set foot on Mars is already walking around on Earth, RIGHT NOW! But why would you want to travel for almost nine months to end up on a planet where there’s nothing to do? No family, no friends, and no blue sky. It doesn’t sound all that appealing… and yet there are people (the Marco Polos and Christopher Columbusses of our time) who would be willing to take a one-way trip to Mars because their thirst for adventure is so tremendous. What would that be like – to be so far from Earth? And why would you sacrifice yourself for a greater good? Is it incredibly brave, or actually a bit stupid? 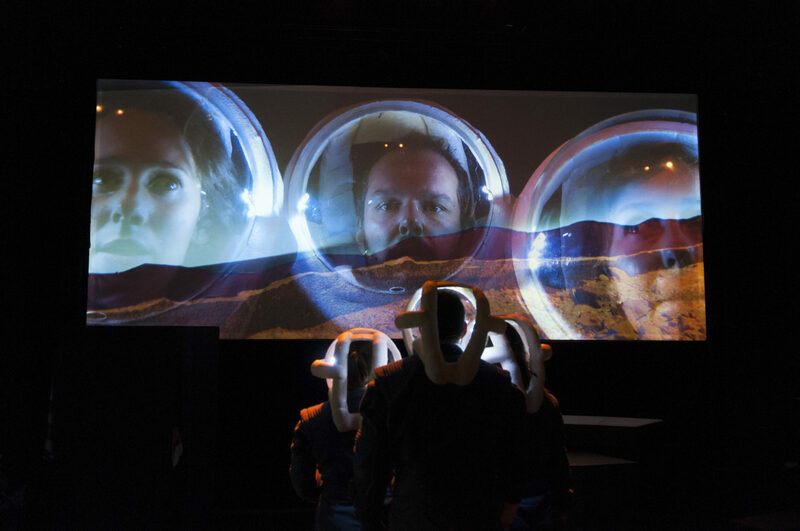 Het Filiaal theatermakers has gone in search of the answers for you! They have created a cosmic production about the red planet, complete with miniature planets, philosophical ruminations, choral singing, live videos, and plant music. Of course, it remains far from certain when, or even whether, the first human being will land on Mars but ANYTHING is possible in the theatre.